Marx and Lenin were ahead of their time. 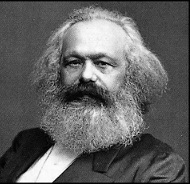 Marx wrote before offshoring of jobs and the financialization of the economy. Lenin presided over a communist revolution that jumped the gun by taking place in a country in which feudal elements still predominated over capitalism. In 21st century America capitalism has been unfettered from the regulations that democratized it and made it serve society. Today capitalism is being financialized with the consequence that its productive power is being drained into the service of debt. But apparently voters won’t, at least not in the US. Hillary represents the One Percent, as the Clinton’s $153,000,000 in speaking fees attest, but the 99 percent are self-destructing by voting in support of Hillary’s ambition to gain the presidency. Apparently, H. L. Mencken was correct, the vast majority of Americans are morons.